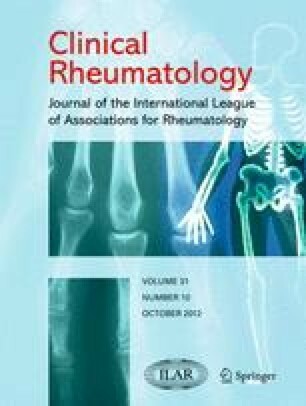 The aim of the study was to demonstrate the effectiveness of sulphurous water in patients with osteoarthritis of the hand. Forty-seven patients with osteoarthritis of the hand were enrolled into the double-blind, randomized, controlled study, satisfying ACR criteria. One group of the patients (n = 24) received balneotherapy, bathing in sulphurous thermal water for 20 min per occasion, 15 times in all during a period of 3 weeks. The control group (n = 21) had a bath exclusively in warm tap water. Assessments were carried out in both groups on four occasions: at the beginning and at the end of the treatment, and 3 and 6 months after the beginning of the treatment. The parameters studied were the following: pain in the hand, morning stiffness in the joints, grip strength of both hands, and Health Assessment Questionnaire Disability Index (HAQ) and AUSCAN Hand Osteoarthritis Index and EuroQol quality of life questionnaire. At the end of treatment, the improvement was more pronounced in the patient group treated with the sulphurous water. After 3 months, significant improvement could be detected in all parameters, except the morning stiffness and EQ5D. After 6 months, the values of pain, HAQ and AUSCAN continued to be significantly better in comparison with the baseline values. The improvement in quality of life was significant only at the end of the treatment, 6 months later not any longer. The difference between the two groups was significant after 3 months in point of pain and EQVAS. Balneotherapy and within this the sulphurous spa water alone may be effective for the attenuation of pain in patients with hand osteoarthrosis.